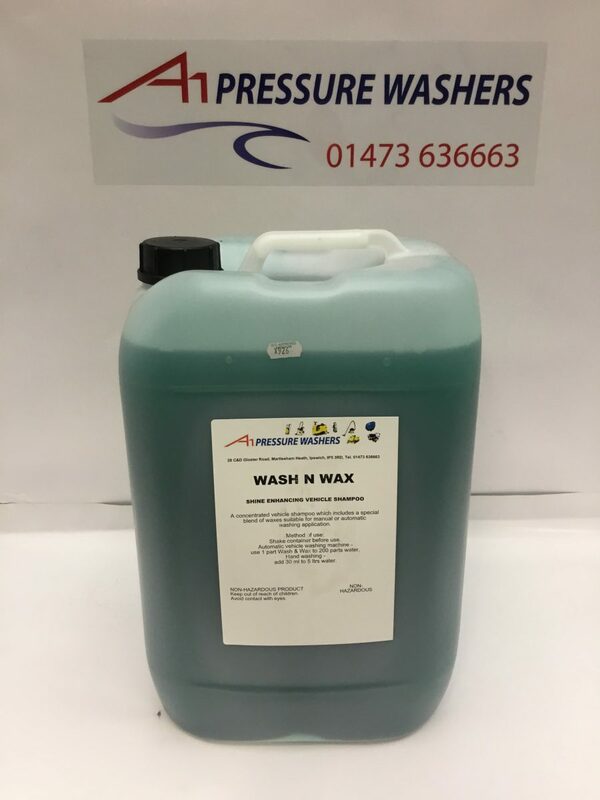 25 Litres Of Wash N Wax Car Shampoo. A shine enhancing vehicle shampoo. 25 litres of Wash N Wax car shampoo. A shine enhancing vehicle shampoo. A concentrated vehicle shampoo which includes a special blend of waxes suitable for manual or automatic washing application. Shake container before use. Automatic vehicle washing machine – Use 1 part wash n wax to 200 parts water. Hand washing – add 30ml to 5 litres water.